About Chris Pagnani, MD. 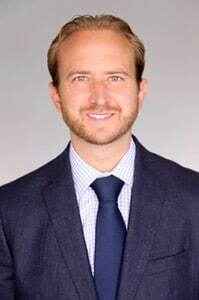 Psychiatrist in Philadelphia, PA.
Chris Pagnani, MD is Board Certified by the American Board of Psychiatry and Neurology and a Licensed Physician and Surgeon in Pennsylvania, Maryland and New Jersey. He trained in Psychiatry at The Johns Hopkins Hospital, where he was asked to serve as Chief Resident during his final year of training. He attended medical school at Jefferson Medical College of Thomas Jefferson University, where he presented medical research both nationally and internationally. His undergraduate work was completed at Vanderbilt University, where he was awarded the top student in his major and track. Dr. Pagnani sees adults (18+) in his outpatient private practice of Psychiatry, in Philadelphia, PA.
Additionally, Dr. Pagnani is the Founder and Medical Director of Rittenhouse Psychiatric Associates (see www.RittenhousePA.com).